A lotus blooms on Dal Lake. 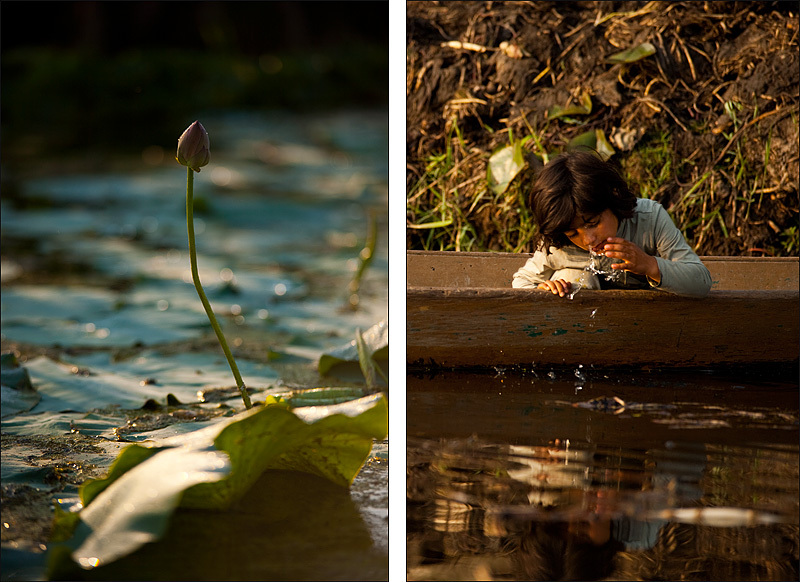 A young Kashmiri girl performs a morning wash on Dal Lake. I'm trying to refrain from writing a detailed explanation for this diptych. Hopefully the meaning is fairly self-evident. This photo is part of another installation of archived photos (on the weekends).